A recent tweet from Google CEO, Sundar Pichai has confirmed the Google I/O 2019 dates and the venue of the event. The annual developer conference will be held from May 7th to May 9th at the Shoreline Amphitheater in Mountain View, CA. The largest attraction of the upcoming event has to be the announcement of Android Q. The next version of Android, which has been subjected to a lot rumours and speculations recently, has been unravelled a little more as more features have been revealed in new reports. According to a report by XDA Developers, Android Q might come with some new customisation options. The options were found in a test build hidden deep within the ADB interface. The report reveals two pre-installed fonts, four icon shapes, and three accent colours. It’s being speculated that these options might either be integrated in user-accessible interface in the final build or be scrapped. Another feature that has been revealed is the ability to revert any app to an earlier version. This will be helpful in case some apps roll out a botched build, which doesn’t work for some users. The next feature that has been revealed is preventing third-party apps from accessing your clipboard. This means that will no longer be able to read clipboard data while inactive. While this might render few features useless in some apps, it’s better for the overall security of the data. 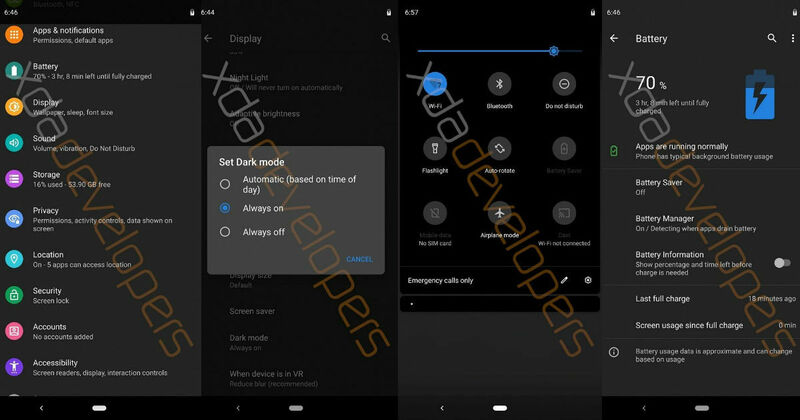 In the past several leaks had shedded light on numerous features of the Android Q including the most anticipated one, the dark mode. 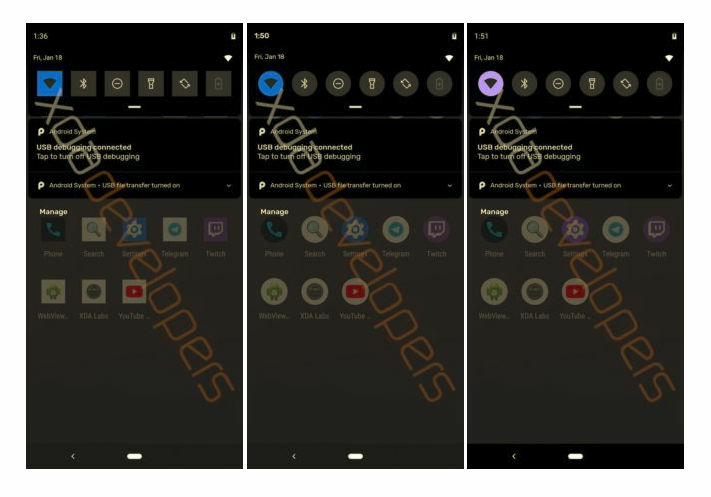 Notably, the system-wide Dark Mode was earlier expected to included in the Android Pie itself, however, was scrapped at the last minute. Now, with the mode being spotted in Google Assistant, it is being speculated that the Android Q might come with native dark mode support. A more recent reports suggests that the Android Q will also bring the support for native support for 3D biometric face recognition. According to the leak, the facial biometric will not just be for unlocking the phone but will also work for authorising payments and signing in to apps. It seems all that is left to know now is what the Android Q will actually be called. Any guesses?